Often caregivers of seniors feel overwhelmed, as if they can never take a break for themselves because they always have to worry about taking care of their loved one. Respite care helps caregivers of seniors by offering short-term relief, either in a planned or emergency situation. It’s important for caregivers to seek occasional respite, whether it’s for a few hours a week to run errands or to take a much-needed vacation without worrying about their loved one’s well-being. Respite care helps reduce stress and restores energy for caregivers. Respite care helps caregivers of seniors by offering short-term relief, either in a planned or emergency situation. It’s important for caregivers to seek occasional respite, whether it’s for a few hours a week to run errands or to take a much-needed vacation without worrying about their loved one’s well-being. Respite care helps reduce stress and restores energy for caregivers. It is important for all caregivers – senior spouses, adult children, or even professional caregivers – to take occasional breaks with the help of respite care. According to the Bethesda Care Management team, many times, when one senior is in the situation of taking care of their dependent spouse, it’s the caregiver who passes away before the recipient. The caregiver is so busy taking care of their spouse, they don’t have time to go to the doctor, and they don’t have time to decompress from the stress they face. When a family member is responsible for taking care of a loved one, it seems like there is simply no room to fit other important events into your life. But life doesn’t stop happening. If you are invited to an important event like an out-of-town wedding, it can feel like you have no choice but to either disappoint the person who invited you or feel as if you are neglecting the senior who is counting on you for care. It’s a no-win situation. Respite care helps caregivers take care of a loved one at home, and it can also be coordinated through professionals in other areas across the country, making it possible not only for the caregiver to go to a special event – but also for their dependent family member to come along, too. The Care Management team recently helped a family with a situation involving an out-of-state wedding and Grandma. The mother of the bride is the primary caregiver, and she didn’t want to leave her mother at home. On the other hand, the mother didn’t want to be so distracted at the wedding that she couldn’t participate and enjoy herself. Respite care professionals worked hard to find a solution that not only solved the mother’s concerns but allowed Grandma to enjoy the wedding, too. Arrangements were made locally to find a senior care community near the site of the wedding where Grandma could stay for a respite visit. During the festivities, an aide looked after Grandma’s needs so the family could fully participate without concern. Regardless how dedicated a person is to taking care of their senior loved one, at some point they need a chance to unwind or to just get some rest. When you have a couple that’s been married for 60 years and one needs care, it isn’t going to take long until the other person is completely exhausted. Respite care helps caregivers rest, so she or he can keep up her or his endurance and reduce stress to provide the necessary care. Remember, taking a break – even a four-hour break to rest or run errands – shouldn’t be considered a failure. Instead, it should be viewed as helping provide the endurance and ability to make sure their loved one is looked over for the long run. Senior respite care is an ideal option for those instances when the caregiver’s health fails and there are no family members or friends available to accept the responsibility of caring for their senior loved one. 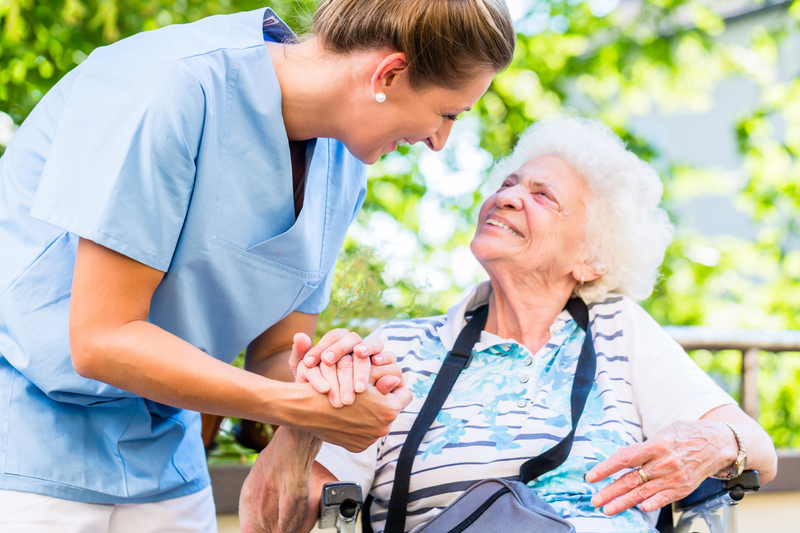 There are many options for respite care services that can be of assistance in this situation, ranging from an in-home senior caregiver who can assist your loved one with daily tasks in your absence, help them with their medication, provide transportation and make sure they eat properly. Or if your loved one requires a higher level of care, they can be checked into a senior community on a temporary basis so they’ll get around the clock care while you recover. “I want to be there for dad, but I don’t have time to shop for groceries or to get my hair cut. Adult day care is an option for families that need regular, on-going help in caring for their senior loved one so they can continue with their everyday lives. Adult day care not only provides companionship and assistance for seniors who are unable to be left by themselves because of their health or condition, but it can also be a very enriching experience, providing your senior loved one with the chance to socialize with people of a similar age and with similar interests, to receive healthy and enjoyable meals, participate in activities, and receive therapy or other health-related services. If you’re a caregiver for a senior who is having trouble finding time for all your responsibilities – or if you just need a break – Bethesda is here to help! With our respite care options across the St. Louis area, there are convenient care options for any family. Contact us to learn more.